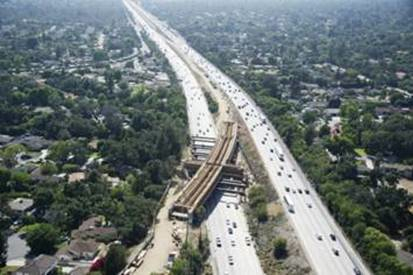 A good aerial view of the new "Iconic" bridge that will carry tracks from the 210 freeway median over the eastbound lanes. 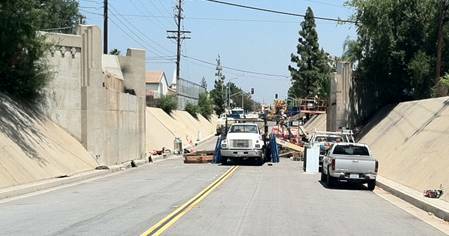 In the first major work on the rest of the Foothill Extension alignment, the old rail bridge over Colorado Boulevard in Arcadia was removed to clear way for the two-track bridge. Is there any word on when information about the decision for an extension of the southern fork of this line is due? No ETA yet on the release of the DEIR for the extension of Eastside. I’ll try to find out if there is a date yet as I know many others are interested in the project.